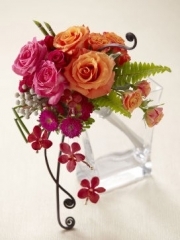 In this category you will find all of our Flowers Aberdeen bouquets. 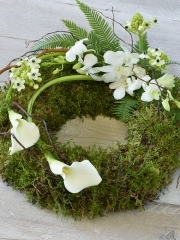 We have floral bouquets and arrangements for all events and occasions. Our arrangements come in all styles, colours, and sizes. We have made sure that there is sure to be a bouquet for everyone. If you take a look around our Florists Aberdeen website you will find flowers for the seasons, flowers for saying congratulations, or saying thank you, our flowers are also great for birthdays, or anniversaries. 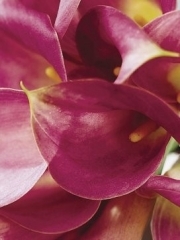 No matter your occasions, Flower Delivery Aberdeen will have the flowers for you. However if you feel that none of the flowers we have are quite what you were looking for then you can make use of our Flowers Aberdeen bespoke service. With our bespoke service you have complete control over your floral bouquet or arrangement. You decide the types of flowers, the colours of the flowers, and the number of flowers. Whatever you want in your bespoke bouquet, one of our Florists Aberdeen expert florists can arrange it for you. 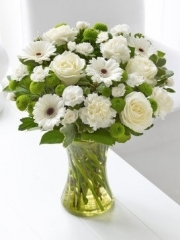 Your recipient will be so delighted when they receive a completely unique floral bouquet from you arranged my florists from Flower Delivery Aberdeen. Our bouquets and arrangement make fantastic presents and everyone loves receiving flowers! But sometimes when you want to make someone feel really special, or if it’s a really big occasion just flowers from Flowers Aberdeen are not enough. That’s why we have a great selection of small gifts that can accompany your flowers so that you can really treat your recipient. We have delicious chocolates, adorable teddy bears, balloons for all occasions, and for the more sophisticated tastes, we have a selection of wines and champagnes. These small gifts are great when you want to send your loved one something extra, and we really do have something for everyone here at Florists Aberdeen. In order to make our bouquets and arrangements of such high quality we use only the highest quality flowers available to florists. 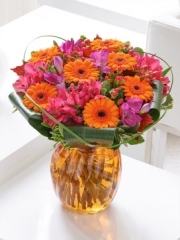 All of the flowers we use in our Flower Delivery Aberdeen bouquets and arrangements come from Holland. Flowers from Holland are some of the most beautiful in the world and that’s why we use no other flowers in our bouquets and arrangements. As well as focusing on the quality of our flowers, we also focus on how fresh they are. We art Flowers Aberdeen know that there is nothing worse than having beautiful flowers only last a few short days because they weren’t sent out as fresh as they could have been. That’s why all our flowers are delivered straight to our Florists Aberdeen shop. This means we know that they are as fresh and recently cut as possible, what’s more we receive our flowers several times a week so we always have a supply of fresh, beautiful flowers in our Flower Delivery Aberdeen shop. At Flowers Aberdeen we are completely dedicated to our customers, and this really shows in our great delivery service. Our delivery service is perfect for when you are really busy but still want to send beautiful, high quality flowers to loved ones. 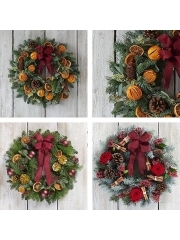 Ordering flowers with Florists Aberdeen only takes a few minutes and we deliver 6 days a week. 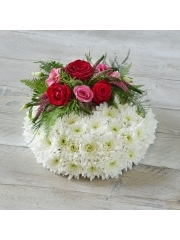 Our Flower Delivery Aberdeen drivers are always very careful when delivering flowers so that they arrive with your recipient in the dame perfect condition that they were in when they were arranged in our Flowers Aberdeen shop.